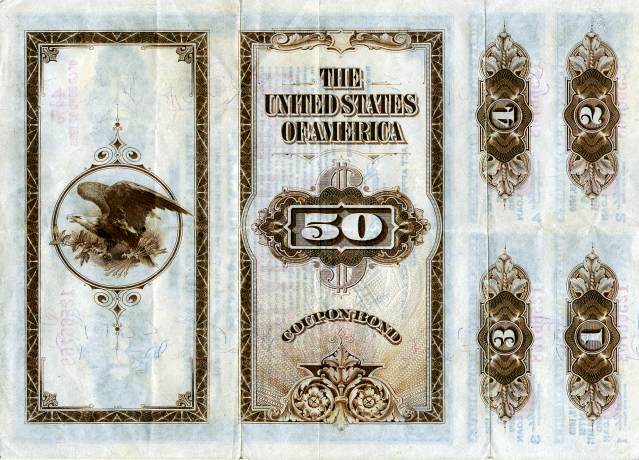 Beautifully engraved $50 Third Liberty Loan 4 1/4% Gold Bond of 1918 from the United States Government issued in 1918. This historic document was printed by the U.S. Treasury and has an ornate border around it with a vignette of Thomas Jefferson. 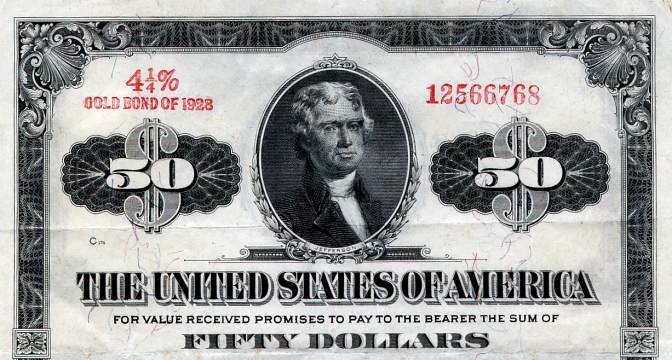 Printed Red "THIRD LIBERTY LOAN 50" and had Red Treasury Seal. This item has facsimile signatures of Teehee and McAdoo and is over 92 years old. Folds as seen in scan. All 4 coupons attached. History from LibertyLoanBonds.com (old stock certificate research service).